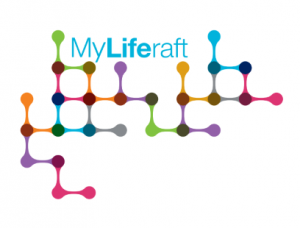 MyLiferaft - Organisations - Find out more about collaborating with us! MyLiferaft supports the growing need for individuals and carers to take ownership of their care. Working collaboratively with strategic partners across the different aspects of health, care and well-being, we will continue to develop a product that supports the needs of individuals, families, carers, health care professionals, social services, research teams, charities, the emergency services, the NHS and many more. With a steady increase in both full-time paid and unpaid carers, businesses are realising that they need to support their staff better in this area. We welcome conversations with corporates who would like to roll out MyLiferaft to their workforce as part of their Corporate Social Responsibility. Please contact a member of the MyLiferaft team if you wish to discuss further. MyLiferaft provides a platform for care organisations to use data analysis across all aspects of care services. We are always keen to hear from companies that are interested in carrying out research projects incorporating MyLiferaft. Through these projects, research teams would have access to a growing and detailed database of anonymised data. Integrated health and social care is a well-used term in these transformational times. It is being proven that good self-care helps reduce costs, and helps not only the citizen, but the wider care team and professionals who support the person. 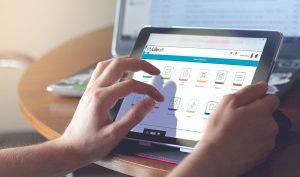 MyLiferaft supports the individual on the journey to active self-care, and they can share their information directly with Health and Social Care Professionals – enabling access anytime, anywhere, with real-time updates, quality engagement and helping to support better outcomes. MyLiferaft helps ensure cost effective and focused commissioning; it provides a platform to monitor the impact of health and care solutions across the local population, to capture and understand the citizen needs and their outcomes. 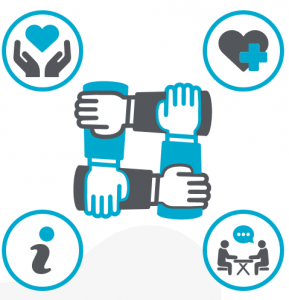 Using technology to support and reduce the cost of healthcare and well-being is already being done, but MyLiferaft embraces a wider circle; from the individual, family and unpaid carers right through to professionals, the organisation as well as commissioning bodies and policy makers. The benefits of working collaboratively are many, and by combining services from various devices and technology products MyLiferaft enables separate care systems to become a single, holistic care platform. Technology Enabled Care and Medical Technology both move at a fast pace; partnering with MyLiferaft can, and will, make changes to the way we manage our health care and makes the care solution more than sum of each part. We are already working with a number of charities, providing MyLiferaft to their members and providing them with bespoke training and support. MyLiferaft has been designed to be used by everyone either as an individual with a long-term care need or if you are a caring for a loved one, for example a parent caring for SEN child or a spouse caring for their partner who has dementia. MyLiferaft does not limit itself to any one group of people and we believe that this flexibility is one of our many strengths. If you are a charity that feels we could support your members, then we would love to hear from you. If you would like to find out more or be part of this new generation of Health Technology and Integrated Care then please call 03302 231192 or email info@myliferaft.com. We love to talk about what we do!